The Salvation Army's work with veterans dates back to World War I, when approximately 250 Salvation Army volunteers provided assistance to our American soldiers fighting on the front lines in France. Two officers had the idea to comfort them with good home cooking, using their limited ingredients to fry up delicious doughnuts in helmets for the soldiers. These women, earning the nickname “Doughnut Lassies” and “Doughnut Girls,” traversed the trenches to bring the men doughnuts and coffee. These doughnuts and the joyful presence of the women who worked so hard to make them provided the soldiers with the boost their spirits needed during an extraordinarily difficult time. They also provided writing supplies, stamps, and clothes-mending. In Southern New England, local units provide support and resources to veterans and their families experiencing hardships as they make the transition from military to civilian life. From rent and utility assistance to programs for their children, veterans can rely on us to meet their needs. We also offer summer camperships to Camp CONNRI for children of veterans and active military. 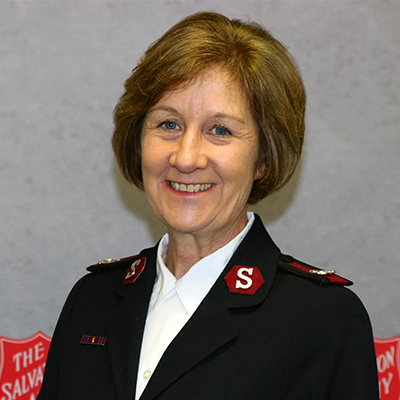 You can read about ways The Salvation Army is supporting veterans nationwide by clicking here.